A web site cannot do justice to all the fun times I have had over the years with this hobby. The people I have met, the travelling and the crazy times. As a rule a lot of dxers are introverts and keep to themselves. When you look closely enough at Dxing as a hobby, its something that you basically do yourself. Nobody else does it for you. But that's where I break the mould. I have been Dxing since 1976 and most of my dx has been done in Australia. In 2006 my family and I moved to The Netherlands for family reasons. Coming to Europe after 30 years of dxing in the Southern Hemisphere was certainly a culture shock. mostly the antennas we used were 500 - 850m. We had a very low noise threshold. The MW band was not as cluttered and there were only a handful of 50 kilowatt ABC stations to bother us. Unlike Europe our aim was West Coast USA and Asia. One of my other loves the Tropical bands were alive with Asian stations and to a lesser extent Latin Americans and Africans. There is nothing like hearing low powered Indonesian amatir stations on 2.5 - 2.9 Mhz on a balmy evening pumping out their beautiful music. A lot were from around the Jakarta region and of course almost impossible to verify because they moved around so much. Its really sad that the Tropical Bands have really deteriorated over the years. So many stations have gone. FM dx downunder in summer was special. There was so many low powered stations to hear and although Europe is packed with FM opportunity, it is far more difficult to find vacant channels on the band to hear dx. I certainly hear things in Holland but my QTH circumstances do not allow a lot of signals in. As for Navtex, NDB, GMDSS/DSC and DGPS dxing. I had never attempted any of this until I came to Europe. It is fun to do but in recent times I find it diverts my real focus of MW Dxing. Even though my heart is still in Australia, dx wise it was not all plain sailing. Australia is a land a long way away from Europe, Africa, USA, South America etc and signals often landed on multiple hops. Dxing from home was certainly a lot easier and noise levels were nowhere near as bad. We lived in stand alone homes and neighbors were separated by fences. Life was good and we even had room for big antennas and swimming pools in our backyards. So here I am in Europe. The bands are crowded, propagation is different and of course we live in an apartment with families all around us. So electrical noise levels are woeful at times. Sadly my heart is not as strong or passionate about the hobby because of my QTH circumstances. You will not see as many logs from me as you did in the glory days of Australian Dx. That's why the dxpeditions are important for me in Europe. Thankfully I am able to go on several dx trips a year here. It keeps my toe in the water. 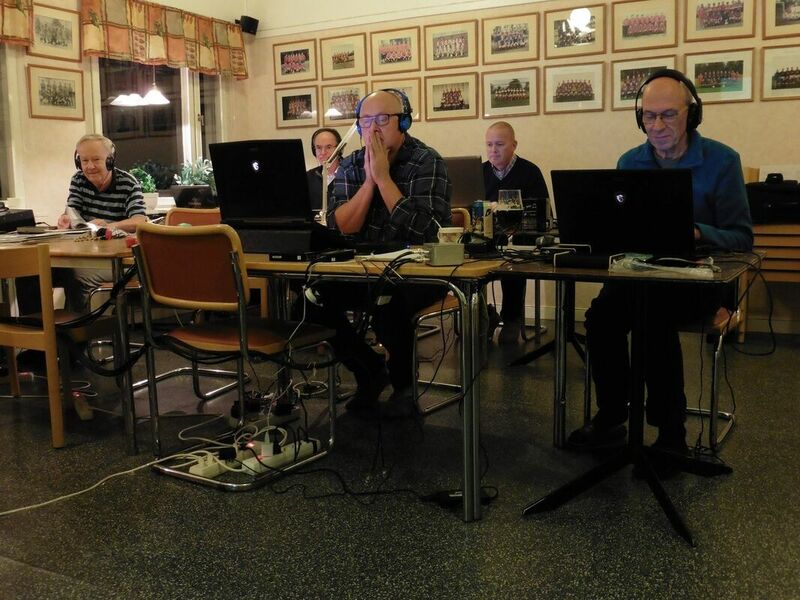 I belong to DX Antwerp, Benelux Dx Club and the MW Circle in the UK. The Belgian guys are very active when it comes to dx. So it’s been a pleasure to be involved in the Walsoorden and Kasterlee DXpeditions. On these pages you will find current logs, photos, DXpeditions to Walsoorden and Kasterlee and also past dx trips in Australia.